1 Could a Black Suit Be Worn Instead of a Tuxedo? 4 What Do Wedding Ushers Wear? While some authorities claim that the cumberbund passed from popularity sometime during the 1990s, others say the cumberbund is alive and well and appears at many beautiful weddings, proms, christenings and black tie dinners. If the cumberbund appeals to the designer of the event or to the wearer of the tuxedo, it is an acceptable, even desirable, choice provided the wearer understands how to select and wear the accessory. A cumberbund is a wide belt or sash made of fabric intended to wrap the waist of the man wearing a tuxedo. Simple cumberbunds may be pleated or plain and will be fitted with elastic or adjustable button closures in the back. A cumberbund is always wide enough, generally 4 to 6 inches, to cover the space between trousers and shirt. Ideally it creates a handsome transition by eliminating unsightly shirt buttons, trouser buttons and zippers, belts, and belt buckles. Suspenders are required for formal wear whether a cumberbund or vest is chosen. Only a fabric vest is considered a suitable alternative to the cumberbund, but a cumberbund and vest are never worn together. They perform exactly the same function of providing a smooth transition from shirt to trousers, and the vest would cover the cumberbund. Throughout the history of the tuxedo, the cumberbund has transitioned from plain black silk to go with a black silk tie to a variety of colors and fabrics, all of which must match the cumberbund. Whatever the choice of color or fabric, cumberbunds and ties must match each other; there are no exceptions to this rule. Prom cumberbunds and ties in the same color as the young lady's dress and flowers are highly favored in some parts of the country. 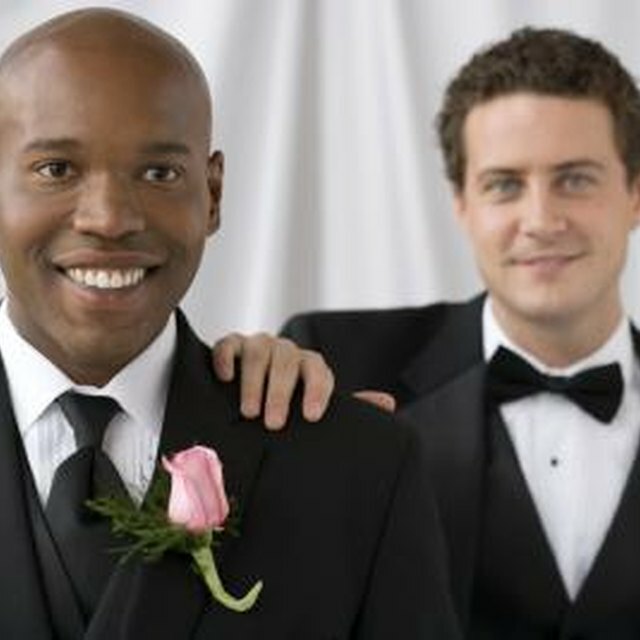 Bridal couples sometimes elect to have all the men in the party wear matching cumberbunds and ties to coordinate with wedding colors. Cumberbunds were traditionally made from formal black fabrics, such as silk or silk blends, which made them difficult and expensive to clean. However, the advent of fancy fabrics made from blended fibers has allowed the cumberbund to move away from plain black and move toward pastels, prints, brocades, even plaids, and the addition of synthetics to cumberbund fabrics means they are much easier to clean, especially in the case of light colors. Cumberbunds and ties match, regardless of the nature of the fabric. The only variations of style in cumberbunds are plain and pleated. The plain style may or may not have a top and bottom, but if it does, the up or down should be plainly marked on the inside. If there is no difference between top and bottom, it can be worn either way. The pleated cumberbund must be worn with the pleats facing up, ostensibly so that the pleats catch crumbs during the wearer's dinner. While the function is questionable, the openings of the pleats must face the wearer. Several military mess dress uniforms also involve the wearing of cumberbunds. Mess dress refers to "black tie" or "white tie" depending on the accessories. Many such uniforms consist of waist-length jackets worn with formal trousers and shirts as well as special miniature medals and decorations. These outfits always require a cumberbund in silver, gold or red, depending on the wearer's rank or branch of service. Other stringent regulations apply to the creation of a mess dress uniform. Most formal-wear authorities agree that the cumberbund is the most desirable accessory for a single-breasted tuxedo. Because the jacket of the single-breasted style is likely to be left open some of the time, the cumberbund presents the most polished appearance. Men's fashion stylists also suggest that the cumberbund may tend to make stout men look heavier.